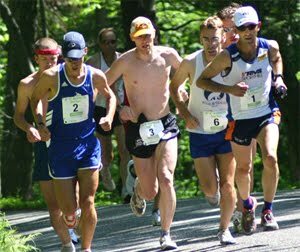 The CMS Men’s Open team placed second overall at the 2012 United States Mountain Running Championship which was hosted by the Mt. Washington Road Race. Team Colorado, who benefit from high altitude training, had four men run under 1:05 to place first overall. Whirlaway Racing placed third overall. Kevin Tilton led the way for CMS by running 1:05:54, 18th overall. He was also the first New Hampshire resident to cross the line thus picked up the Crossan Cup. Nate Jenkins (20th), Jim Johnson (23), Dave Dunham (26) , and Ross Krause (27) finished off the top five scoring. Michael Quintal (36) and Francis Burdett (37) were the 6th and 7th CMS athletes to cross the line. Meanwhile, the CMS Masters Team won the championship event outpacing Whirlaway Racing and Gate City Striders. The masters were led by former Mt. Washington Road Race Champion, Dave Dunham. He ran 1:08:19 – 26th overall and second master overall. Francis Burdett (37), Scott Clark (48), Martin Tighe (59) and Tim Van Orden (62) wrapped up the scoring. Martin was the 2nd overall 50+ age group runner. Ernest Brake (4th 50+ overall) and John Pajer were the 6th and 7th men for the masters team. The CMS men’s open and masters both took 3rd place at the Newton 10K. 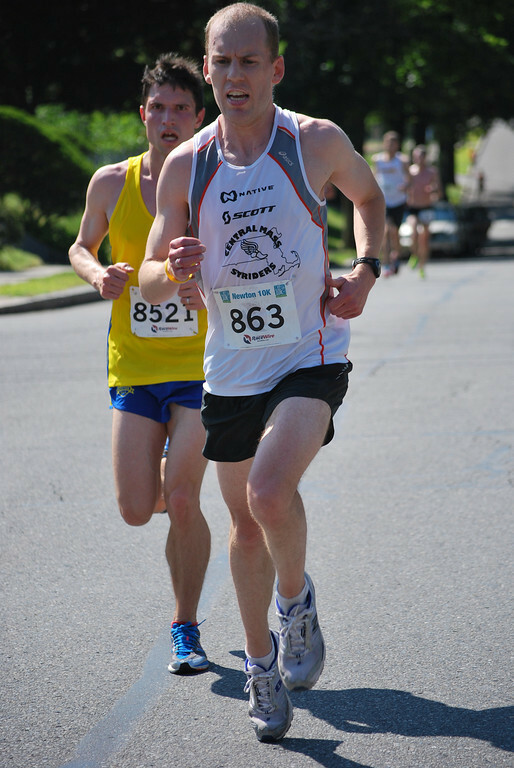 Newton hosted the 10K New England Championship for the first time under warm (71 degrees) and sunny skies. Nate Jenkins led CMS overall with a third place finish in 31:12.3. 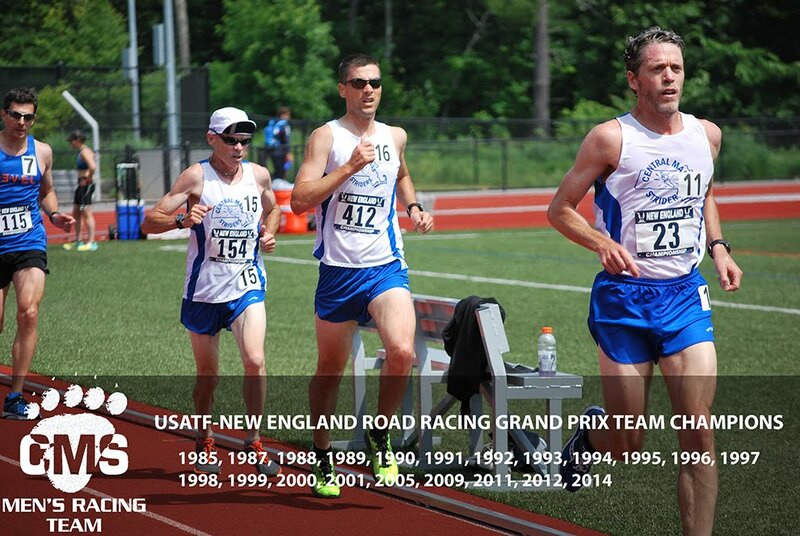 Greg Putnam, scoring for the masters, was able to score up for the open team as the 2nd place CMS runner in 33:36.7. Kevin Gorman (33:42.1) followed up just getting a few strides on Greg Hammett (33:44.6) in the last 400m. Greg is just two weeks removed from the Vermont City Marathon. Team manager, Al Bernier, closed out the team scoring (top 5) with a time of 34:15.8. 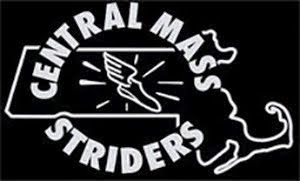 The open team placed behind Western Mass Distance Project and Greater Boston Track Club. The masters team finished behind Whirlaway and Somerville Road Runners. All three teams finished within a minute of each other. Greg Putnam’s leading CMS effort placed him as the 4th overall master. Joe Shairs was the second master with a time of 34:16.4. Dave Dunham followed in 34:27.2 with a masters PR. Jason Porter took one for the team as he is still recovering from the Vermont City Marathon. He ran 36:40.2 for the fourth scoring member. Martin Tighe also persevered and wrapped up the scoring with a 37:28.1.